Happy Monday! I am so excited to have this mama on the blog today as this month's Modern Mama! 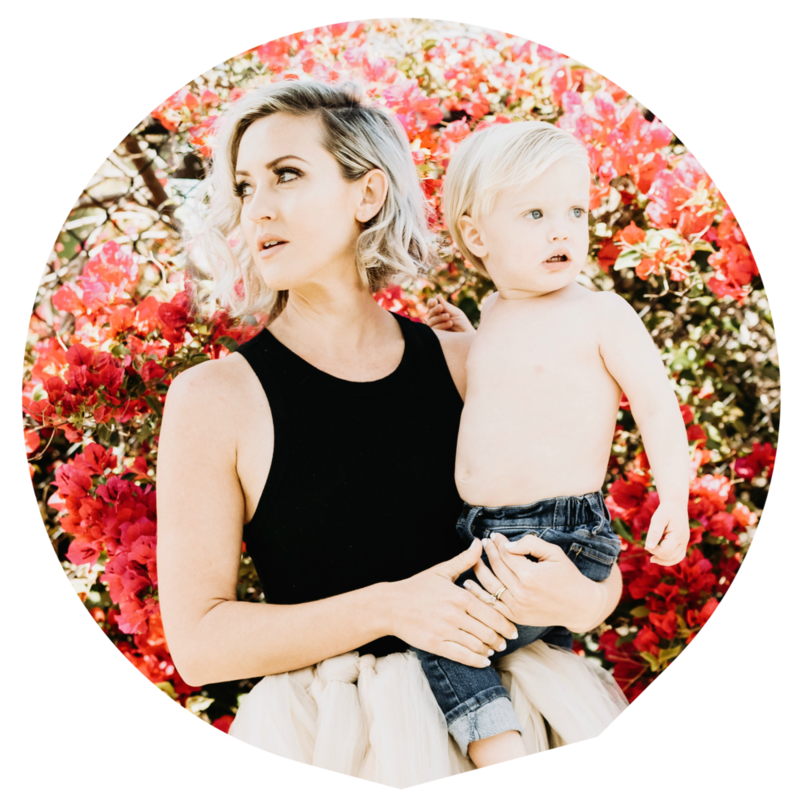 Meet Megan Meyer she is sweet, the mother of two little boys, and she has THE best advice on motherhood. PLUS if you haven't seen her Instagram you need to follow her it's so aesthetically pleasing it makes my heart sing, you know I live for a beautiful feed. So let's meet her. Megan: Hi! I'm Megan Meyer. I have two boys (Smith is 2.5 years old and Max is almost 3 months). I was born and raised in Southern California where I met my sweet husband who then moved me back to his home in New England. I now live in a darling little beach cottage with all my boys just outside of Boston, Massachusetts. Megan: Oh my gosh in every way but I still hold on to some of the old parts of my 20-something self (like the wine and Bravo parts!). Becoming a mom is so humbling. You learn quick that you are in for a wild ride and you do what it takes! Megan: I try not to take myself too seriously, and that helps! But I make sure to take a few minutes for myself daily. Even if that means coffee with Max in the sling while Smith plays in the other room. Megan: My husband! That fella is my hero. He really helps me in every way. I honestly don’t know if I could do it without him. Megan: Sticking to a schedule when it comes to sleep. It saved us while sleep training Smith! I know every day is different but we found a bath and then bed every night at the same time has been our golden ticket. Also don't keep nap time silent! I have found noise around the baby has helped so much. That way he truly can sleep anywhere with anything going on, which has proven to be useful with his wild older brother around. Megan: Max! With my second, baby-wearing has been a life saver. Since it is crazy cold here, most days you will find me in a chunky sweater, lined leggings, my LL Bean wicked good slippers, and my ring sling with Max. Megan: I labored 22 hours with Smith resulting in a C-Section when his heart rate dipped. I most recently labored 15 hours with Max hoping for a natural delivery this time around. Though my experience with each were different, they ultimately ended with the same result. I was a bit heart broken when the decision came to have another C-section. But I decided to listen to my body and understand that natural delivery just isn't in the cards for me and that was okay. In the end both my babies came into this world healthy and very loved. Megan: I try to stick to the 80/20 method. Eighty percent of the time I eat as clean as possible, while twenty percent of the time I indulge in my favorites which include things like cheese boards and Swedish Fish! Trying to stay active is also key. Warm yoga helps during these long winter months. I'm also trying to cut myself a little slack during this postpartum period. I’m working toward small goals and being kind to myself while enjoying all those sweet baby cuddles. Megan: Everything! No just kidding - probably trying not to worry about what everyone thinks. Just be yourself! Megan: Yoga is my church. I swear by it. I try to get there as much as possible. But when I can't wine and some down time with my husband is a close runner up! Megan: Always a toy truck or car. To say my toddler is obsessed is an understatement! Target and Trader Joe's receipts, Lipstick, Tic Tacs and hand sanitizer. Megan: Fu** which is horrible! But it is. And currently one of my goals to stop using as much due to the tiny little parrot that follows me around most days! Megan: Coconut oil for everything! This New England winter has been particularly brutal. Coconut oil saves my poor little dried out self. Also a humidifier in our room at night has kept my skin in balance.